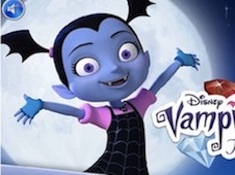 Vampirina Bejeweled is a great game for kids appeared on our site, another personal game made by our team especially for you, because we know that you can`t wait for this animated series to appear. 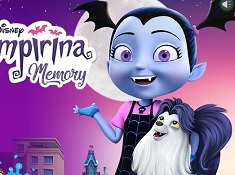 Vampirina is going to be on Disney Junior only in 2017 but by then you have here a few games with your heroine and I am sure you will enjoy them. 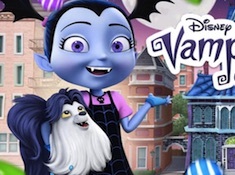 Use the mouse to match the diamonds in this interesting game with Vampirina, who is one of the main characters from the Disney Junior series. You need to forma line with at least three diamonds that have the same shape and color. If you get a big score before the time runs out you can reach the podium. You have a lot of diamonds so you have to pay attention to find the best opportunities to make points. 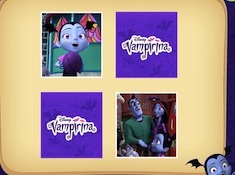 Vampirina in in the right side of the screen supporting you to earn a lot of points. 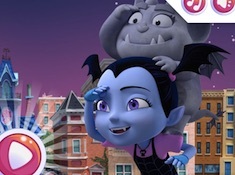 You need the mouse in this game to click on two diamonds to switch their place. At the top you have your score and the timer in this exciting game. 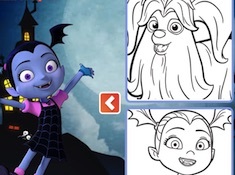 It is not simple at all to complete your goal successfully in this game, because it is a challenging game but I am sure you can make a great job if you try hard in every level. 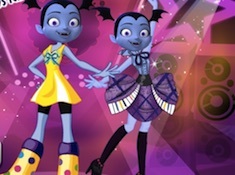 If you think you could do better you can try the game again, to start it from the beginning.